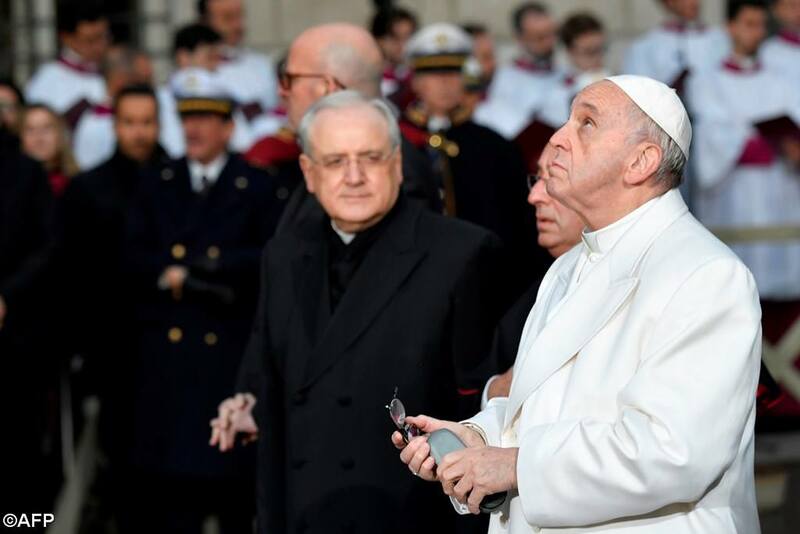 Pope Francis left the Vatican on Friday afternoon, headed for Rome’s central Piazza di Spagna in order to honor the Immaculate Conception at her statue. The Pope’s visit to the memorial column dedicated to the Immaculate Conception, He also provided the traditional blessing of a garland of flowers which Roman firemen placed on the statue of Our Lady. to pay you homage on behalf of all the inhabitants of this city. the journey of so many people who immigrated here from places where there is war and hunger. we feel your maternal presence, tender and strong. the exploitation of so many men and women. with the antibodies that come from the Gospel. so that, like a good seed, it may fruit in our lives. from being an atheist and enemy of the Church, became a Christian. You revealed yourself to him as a Mother of grace and mercy. hands that allow the Lord's graces to fall upon the earth. small and poor sinners, but always your children. and forgiving us when we return to Him. Thank you, Mother, for always listening to us! Bless the Church that is in Rome. Bless this City and the whole world.